If I had to pick out one thing that EVE Online does exceptionally well, apart from the political betrayals and thefts that regularly grace the gaming headlines, it would be the ability to build a real home that you’d want to protect. This year we’ve seen players erect thousands of citadels and engineering complexes all over New Eden, from the colossal 300 billion ISK Keepstars owned by the largest military alliances to tiny Astrahus citadels and Raitaru factory stations owned by one-man corporations. The stage is set for the next wave of Upwell structures with refineries and moon mining gameplay hitting on October 24th in the Lifeblood expansion. While adoption rates of the new structures have been immense, not everything about them has gone over well with players. The game is becoming littered with cheap and often abandoned structures mostly because they’re difficult to destroy and there’s no incentive to do so. The battles that occur when players do fight over structures have also become stagnant thanks to the emergence of a few clearly optimum strategies. So while developers prepare to launch into the future with Upwell refineries and beyond, they took a pause at EVE Vegas 2017 to peer back at the past year and committed to some big improvements to structure warfare. … And this time they might have goddamn nailed it. Read on for a full breakdown of the new details of EVE‘s upcoming moon mining feature and a look at the future of structure warfare with the Upwell Firmware Upgrade 2.0 update. 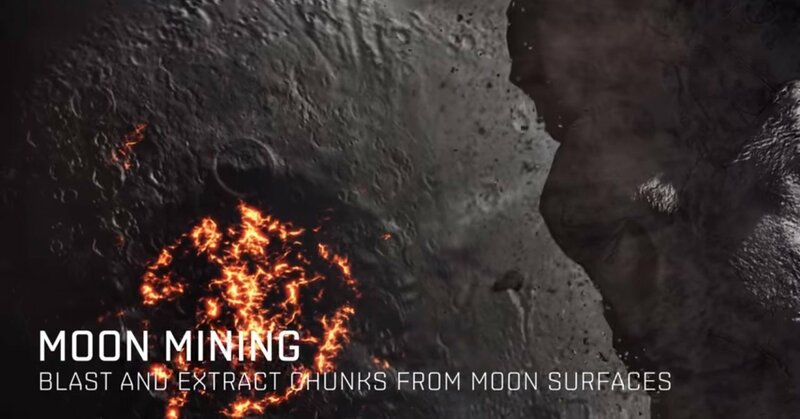 I’ve written about EVE‘s upcoming moon mining overhaul in a previous article when new information was released about it, but this weekend at EVE Vegas 2017 we got to see the finalised gameplay and learned some exciting new info on the feature. A huge cheer went up from the crowd and twitter virtually exploded when CCP confirmed that you will be able mine moons in wormhole space and in some areas of high-security space (probably 0.5 security rating systems). The catch is that these moons will only contain standard asteroid ore that refines into tech 1 minerals while lowsec and nullsec moons are getting moon minerals for use in tech 2 manufacturing, but even that much is amazing news. High security space is home to hundreds of corporations and a large number of miners, so just having the ability to schedule regular mining events via the new moon harvesting mechanic is going to be fantastic. It also opens up opportunities for legitimate highsec wars over mining rights to moons or from unscrupulous wardec pirates looking for an easy kill, and that means more PvP content for mercenaries and training corps. The barrier to entry is likely to be extremely low, with the medium refinery and moon laser predicted to be around a billion ISK and plenty of backwater moons in 0.5 security systems for small corps to claim. When the expansion goes live, you’ll find that each moon has a new beacon at it that shows the area your structure must be planted in order to mine the moon; if it helps your immersion, think of it as one of the moon’s lagrange points. Only one refinery can be placed inside this area, so once you stake a claim here nobody else can mine that moon without blowing up your refinery first. All of the moons will be getting a series of new minerals in varying proportions when the expansion goes live, and some moons will contain better ore types than others, so you can play it safe by going after a low-value moon or make a big play for something better. But why would you bother to mine a crappy moon full of low-end ore? Because every time you use the moon drill laser to fracture a moon chunk and create an asteroid belt, there’s a chance of getting a “jackpot fracture” that makes a huge belt full of crystalline asteroids with +100% refining yield bonuses. Even if you don’t get a jackpot, your asteroid field can also contain a new +15% variety of the standard ores that you can’t find anywhere else and it’s literally right next to your refinery. We heard at EVE Vegas that some highsec moons will even contain ores normally not found in highsec, so they are sure to be valuable. If you’re a career miner, the short version is that you definitely want to claim a moon. Any moon. All the moons. Whether you’re planning to take part in the upcoming land grab for moons or you’re just fed up with all those damn Astrahus’ floating around, you’ll be glad to hear that a total overhaul of structure warfare in on the way. This update is due in the first quarter of next year and it’s essentially everything we’ve been asking for! All structures will now be vulnerable to attack 24/7 but enter reinforced mode when their shields are attacked enough, just like player owned customs offices. Structure owners will select a certain time of day indicating their prime time slots, and the shield reinforcement period ends at that time at least 24 hours later, so between 24 hours and 48 depending on when the structure is attacked. 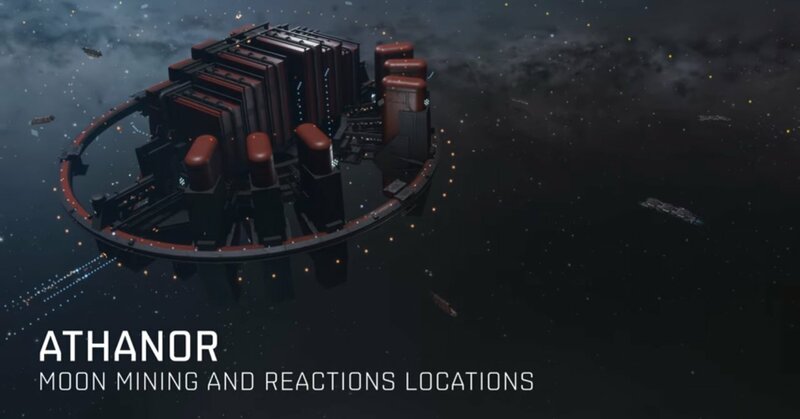 After you destroy the structure’s armour, it enters a final reinforcement period that ends on a day pre-selected by the owner and always a minimum number of days away (7 for highsec structures, 3 for nullsec and lowsec, and 1 for wormhole space). This armour reinforcement period will only kick in if the structure has any active services that consume fuel and inactive structures will have lower resistances too, so all those abandoned stations that are out of fuel will be much easier to take down. The stagnant combat around citadels is being improved with the removal of the structure guided void bomb and the addition of new structure variants of the tactical superweapons from supercarriers and titans. We can also look forward to tech 2 and faction structure weapons and modules, and possibly new weapons such as remote warp disruption field generators. 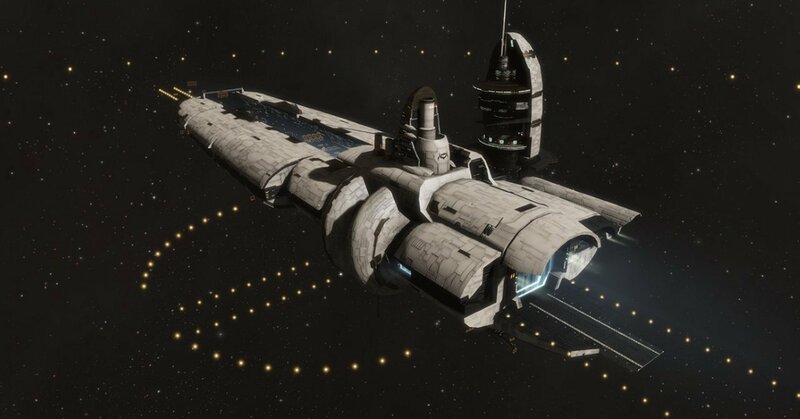 With refineries and moon mining arriving later this month in the Lifeblood expansion and Upwell Structures 2.0 revamping the combat mechanics early next year, the future is looking pretty damn good for structures in EVE Online. The conversion of old player-built outposts into new faction citadels has been pushed back to after the structure combat overhaul, and after that we have some new structures to look forward to — it’ll finally be time for player-built stargates! Disclosure: In accordance with Massively OP’s ethics policy, we must disclose that CCP is paying for our writer’s travel, accommodation, and ticket for this event along with several other members of the gaming press. CCP has neither requested nor been granted any control or influence over our coverage of the event, and the writer is paid exclusively by Massively OP for this work. Dibs on the moons in the Faurent system in Sinq Liason! The moon chunk takes a certain number of days to be dragged to the station (a minimum of 6 days) selected by the owner, and then it remains there for I think 24-48 hours before it decays and spontaneously breaks apart into the belt. The time left before the chunk reaches the station will be discernable somehow according to the devs, possibly by hacking the structure or maybe just in the show info window or something. In theory I could turn up and start mining and they can’t do anything about it, unless it flags you if you mine someones belt. Might work similar to looting peoples wrecks from rats they have destroyed I guess, managed to watch some of the EVE Vegas stuff over the weekend, very interesting. It made me fly to Jita after and buy the Concord Frigate and Cruiser after, no idea why, just had to add them to my collection. From what I gather, there isn’t even a way to have ownership of asteroids in the EVE back-end so you’ll definitely be able to mine someone’s asteroid belt if you find it. The interesting thing is that people can use NPC corp characters to do the mining and will be un-wardeccable, the only way to get rid of them would be suicide ganking. I’m actually considering running refineries in a 0.5 and specifically announcing the times of the mining events to the public just to see what happens. Fozzysov is a failure, lowsec is dead, nullsec invasions are so tedious due to all the base spams it would take an even enermous effort then ever before to clean up by a tenfold compared to Dominion sov. People warned CCP about the problems of these 3 implementations and they went with it anyway. 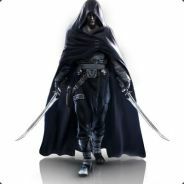 I played Eve on and off since 2006, was a pvp player in nullsec for most of my time but i cant stand it anymore. Big changes are needed but it will take another 5 years before we reach that point i gues. Once the free to play hype is over Eve playerbase will be dropping again to an alltime low. And thats sad as Eve is a one of a kind mmo wich deserves so much more then being a milk cow for other CCP projects. Fozziesov and citadel safety and reinforcement mechanics were both cases where the playerbase overwhelmingly told CCP what would go wrong with them, CCP didn’t change the design, and the players were right. I’m probably in the minority in that I actually think the old pre-dominion system from 2006 was perfectly reasonable — whoever had the most moons claimed in a star system officially got sovereignty and you cared about moons because they made money. Dominion sov with artificial claim markers and disruptors felt artificial and pointless, fighting over structures nobody cares about because they aren’t used for anything but claiming sov. Fozzie sov with the entosis mechanic and cosntellation-wide capture minigame feels even more fake and gamesy, as do the damage caps and multiple reinforcement timers on upwell structures. – Moons: Building a Refinery at a moon provides +1 territorial claim point and moon mining services (one per moon). 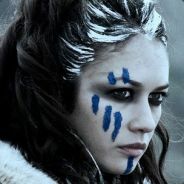 Provides value to alliances via scheduled mining gameplay. – Planets: Building a Citadel at a planet provides +5 territorial claim points and NPC services (one per planet). Provides value to alliances via NPC agent missions, cosmic anomaly spawning, and maybe some scheduled PvE activity. – Stars: Building a Stargate structure (not released yet) at a star provides +20 territorial claim points and some kind of new scheduled gameplay (one per star). Maybe we can charge up a stargate over time and periodically open a wormhole to any system for an hour, so it could be used for logistics or invasion. Make it harvest isogen 5 from the star to charge up, and add 5 ly per day to the distance or 1b kg per day to the mass limit of the wormhole or something. As someone who stopped playing long before Upwell structures joining Eve, reading these changes sound like positive changes… but so were a lot of the previous updates, which are nice to look at in update notes but mileage completely various for people who actually live around the said content. But this, along with buffing Alpha clones, might entice me enough to play some.